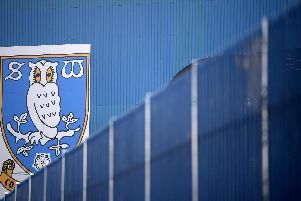 Sheffield Wednesday could make use of Adam Reach in the middle of the park again when they Leeds United – if Barry Bannan and Sam Hutchinson are still sidelined with injury and illness. That’s according to Owls boss Steve Bruce, who was pleased with the versatile midfielder’s performance in a central pair with Joey Pelupessy as both players filled in against Nottingham Forest. Speaking to the media ahead of the trip to Elland Road, Bruce said although it was an emergency move it is an option for the future. “We had to because of an emergency because of the loss of Bannan and Hutchinson, in that area we haven’t got many,” he said. “Bannan, Hutchinson and Pelupessy really in the first team squad, so we decided to take a bit of a gamble on Adam. “Not a real gamble because I think he enjoys playing inside and off the front. “We have used it, he has done very well but that is why we have done it because Adam can adapt to a few positions comfortably. “It’s an option, but we could have Bannan and Hutchinson available. Injury problems have hampered Bruce in his time as Owls boss so far, although the return of Achraf Lazaar and Lucas Joao in midweek was a welcome bonus ahead of the final few matches of the season. And with several first team players out of contract at the end of the campaign, Bruce says he is keeping his glad to see squad members returning. “There’s still five games to go so obviously we have got to address it. All we are interested in really is can we maintain the push. “If we had won last weekend then maybe we wouldn’t be four or five points adrift. Mathematically there is still a chance with five games to go.